First off, that smell! It is absolutely AMAZING. I could sit and smell this stuff all day, seriously. It’s so relaxing yet full of personality at the same time. The perfect combination. As it is a lotion, the consistency isn’t too thick, making it easy to dispense and spread across the skin. However, it also isn’t too watery so that you don’t have to be too careful when squeezing the bottle to prevent an excess amount of product shooting out of it. It absorbs into the skin easily and leaves it feeling really soft and not greasy. The scent lingers for a good few hours after application, but it does fade to a much less noticeable state after half an hour to an hour. I find that this really helps with slightly dry skin, but if you suffer from super dry skin you will probably need something that provides a higher level of hydration. This works great as an every day moisturiser and just like the Korres Body Milk's you could have a lot of fun mixing and matching scents with each other or with your perfume to create your own signature scent. Overall, I absolutely love this Body Lotion. Whilst the scent is by far my favourite part of it, I’m also really happy and impressed with the way it leaves the skin feeling comfortable and soft. It is one of those moisturisers that now I’ve tried one, I need to try all of them. On top of that, I am now seriously in need of owning some Cowshed candles to make my home smell just as nice. You can purchase the Cowshed Gorgeous Cow Blissful Body Lotion for £20/300ml from Cowshed or Birchbox. 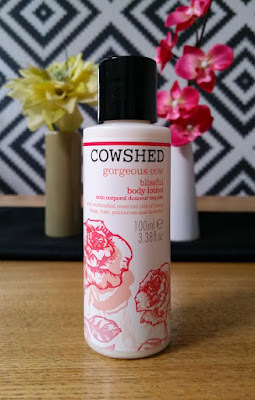 What are your thoughts on the Cowshed Gorgeous Cow Blissful Body Lotion? 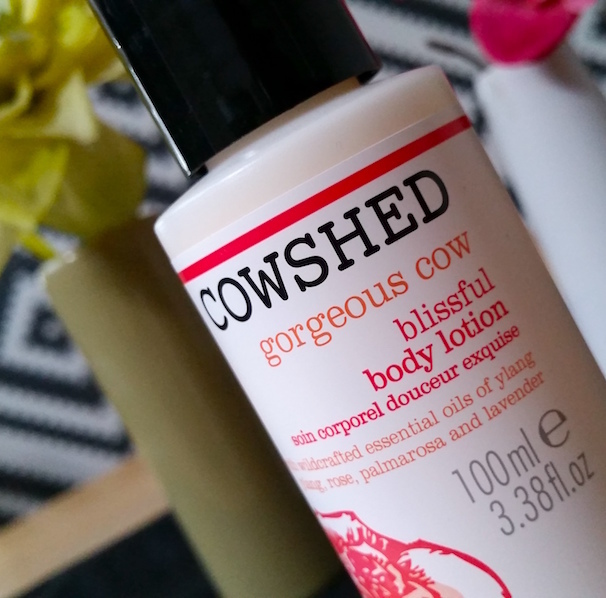 What is your favourite Cowshed scent range?